The third ex-wife of Oscar-nominated actor Terrence Howard has reportedly accused him of not paying court-ordered spousal support. The third ex-wife of Oscar-nominated actor Terrence Howard has reportedly accused him of not paying court-ordered spousal support. 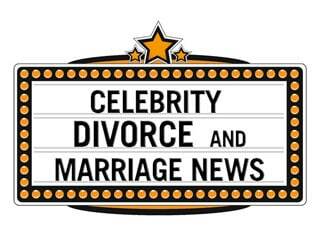 Their divorce was finally finalized in May 2013, two years after Michele Ghent filed for divorce. The court ordered Howard make temporary spousal support payments of $5,800 each month for three years. Terrence Howard has since only made sporadic payments of roughly $18,000, and owes over $63,000 in arrears. The couple had reconciled briefly during a trip to Costa Rica in July 2012, which Ghent had charged to her credit card upon her ex-husbands request because the actor apparently doesn’t have credit cards. The unreimbursed costs for the trip add up to approximately $18,000 to a credit card. The reconciliation trip ended with a renewed marital meltdown and both partners claiming physical violence against the other. Though the actor claimed his ex-wife was maliciously trying to ruin his reputation with baseless allegations, a Los Angeles judge granted Ghent a temporary protection order, preventing Howard from coming within 100 yards of her. When the couple first broke up in 2011, Ghent made claims that her husband became violent within months of their quiet 2010 marriage. According to Michelle Ghent, “the Court finds that Terrence Howard owes me $122,221.64 including interest… legal fees to my lawyer, $15,500.” Terrence Howard apparently earned over $800,000 between May 2012 and June 2013. Meanwhile, the actor quietly remarried a Canadian girl named Miranda, making her his fourth wife after knowing her for only a month. The new couple wore matching gold bands on their wedding fingers to the premiere of Best Man Holiday in Los Angeles on November 5th.